Stand With Anna: Attend An Event! Anna Hazare has been arrested, but across the country thousands are taking to streets to demand his release and an end to corruption! Stand with Anna by signing up to attend an event near you today. 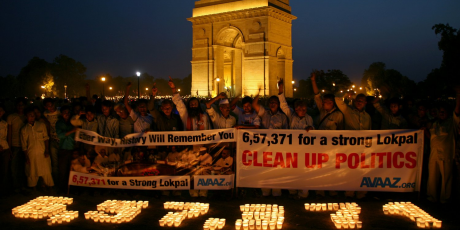 Click this link to set up your own event: https://avaaz.org/en/lokpal_walk_host/, however big or small -- all our events will have a crucial impact at this critical time.